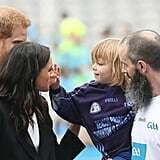 Walter Cullen, an adorable 3-year-old, just stole the show during Prince Harry and Meghan Markle's trip to Ireland when he had a cute encounter with the royal couple, and the photos are probably the cutest thing you'll see all week. 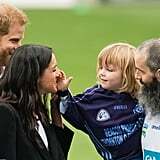 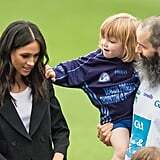 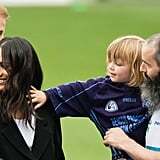 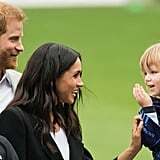 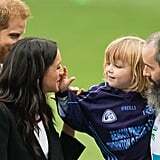 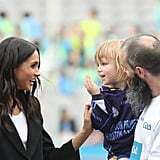 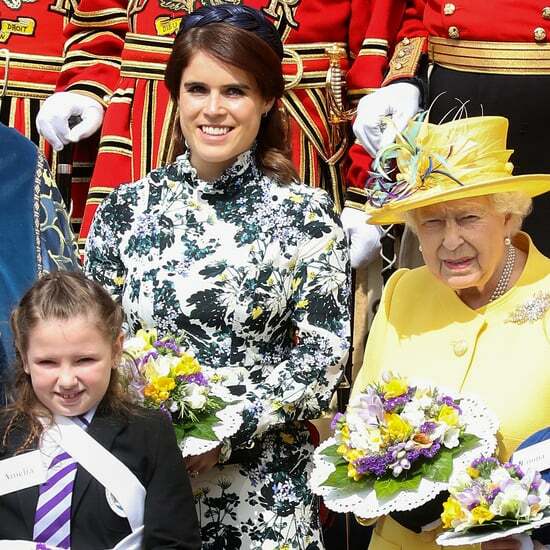 During a visit to Croke Park, home of the Gaelic Athletic Association, Harry and Meghan made friends with the very cheeky fan. 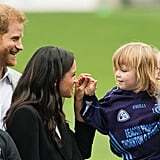 While Meghan wasn't looking, Walter reached out to touch her hair and give her a little poke. 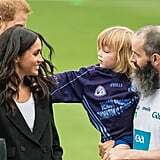 (I mean who can blame him? 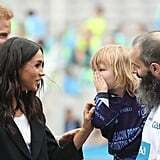 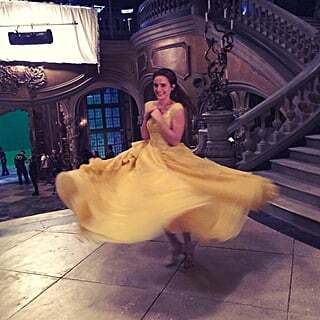 Her hair is pretty luscious looking.) 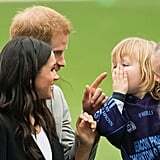 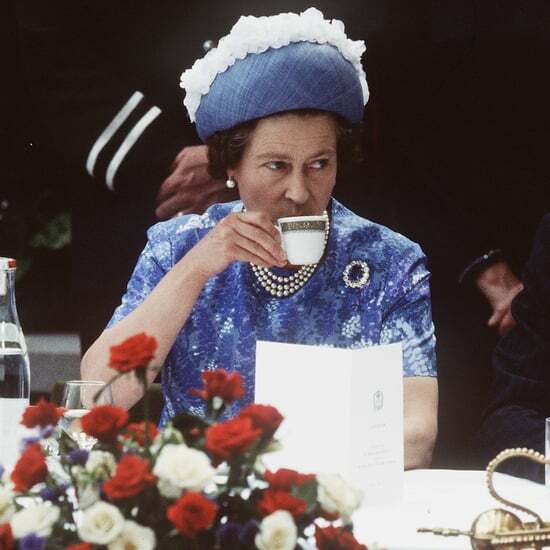 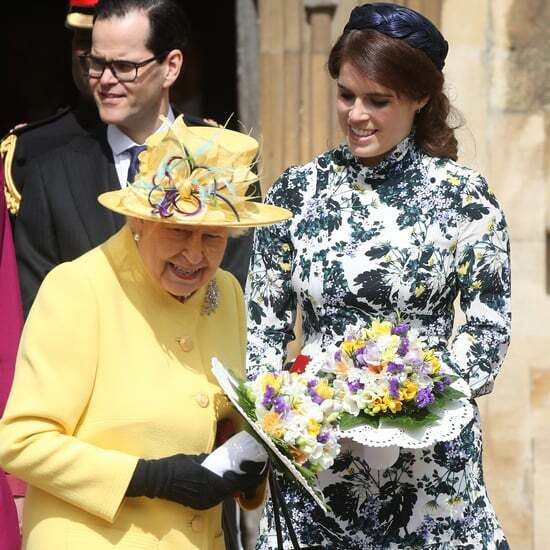 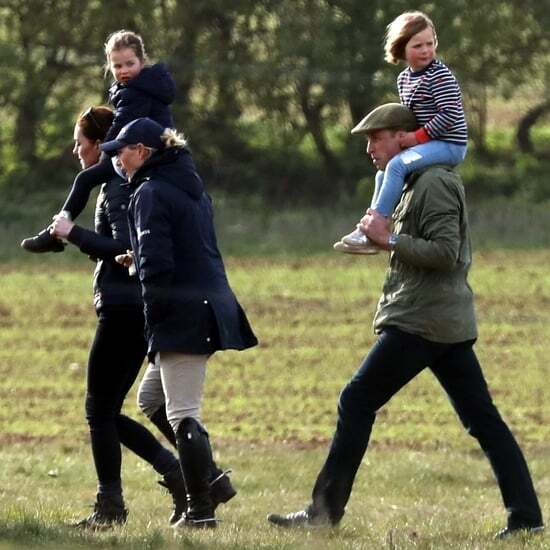 Meghan took the whole thing in her stride as she giggled along and held the little boy's hand, but Prince Harry couldn't resist giving naughty Walter a little telling off, and the little boy's reaction was priceless. 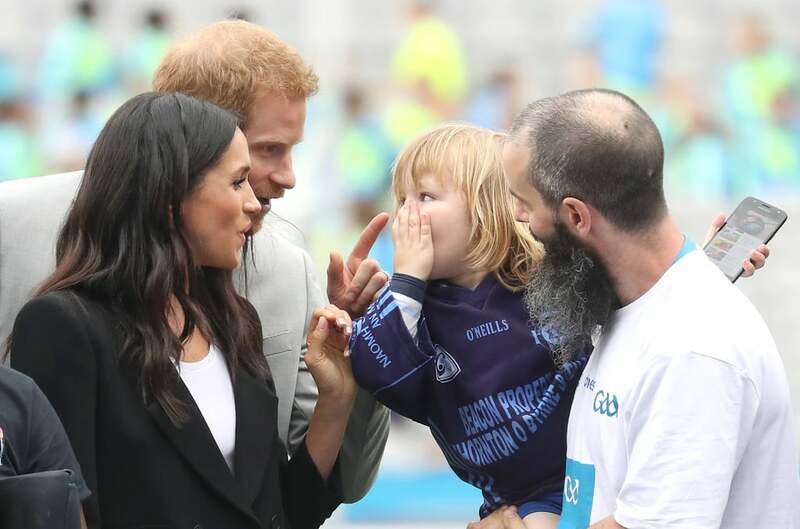 This reminds us of the time a little girl stole popcorn from Prince Harry at the Invictus Games last year, and he caught her in the act. 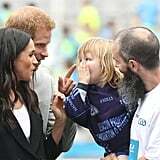 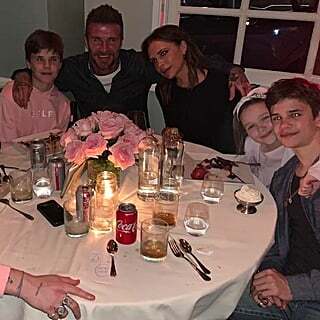 The Prince clearly loves joking around with kids, as we've seen evidence of that time and time again. 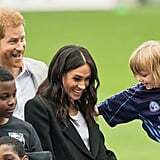 Ahead see all of the extremely adorable photos, as if we weren't excited by the prospect of their babies already.